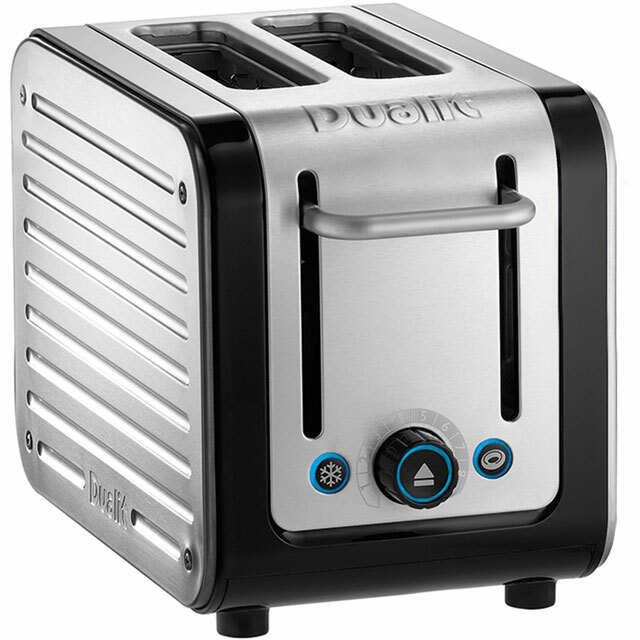 This stylish black and brushed steel 2 slice toaster from Dualit will make a welcome addition to your worktop. Your breakfast will always be prepared just the way you like it, thanks to Perfect Toast technology, which makes sure your toast is left a fantastic golden brown. The Peek & View feature lets you keep an eye on your bread, as you can lift up the slots without stopping the cooking cycle. If you’re feeling continental, the dedicated bagel function creates the ideal accompaniment to smoked salmon and a dollop of cream cheese. 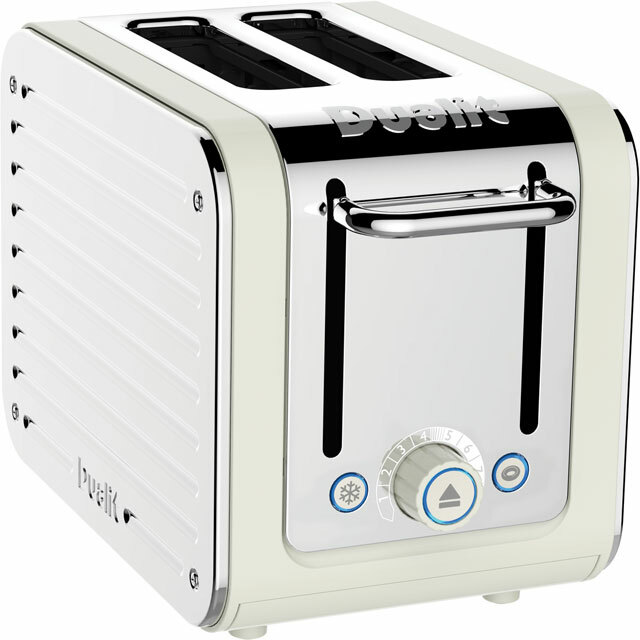 It even has a handy warming rack, great for heating up buns for a tasty bacon sandwich. 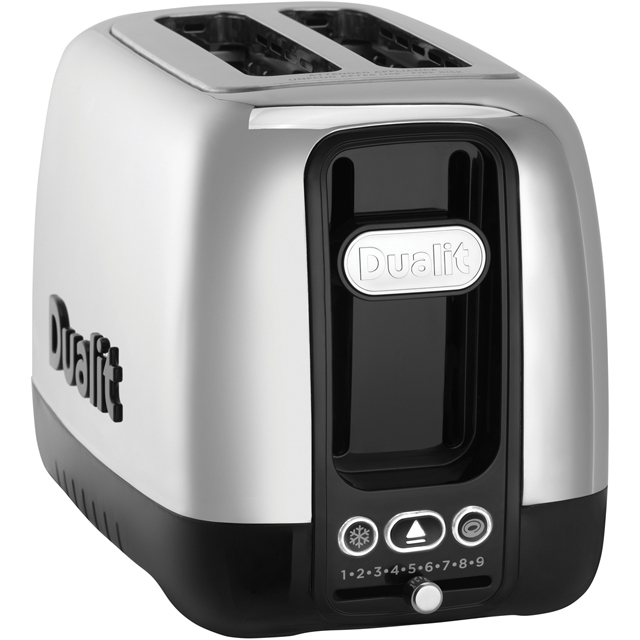 Oh how I love Dualit toasters! My last one was a Dualit but was getting a bit grotty and I didn't consider any other brand to replace it with (it had lasted a good ten years). 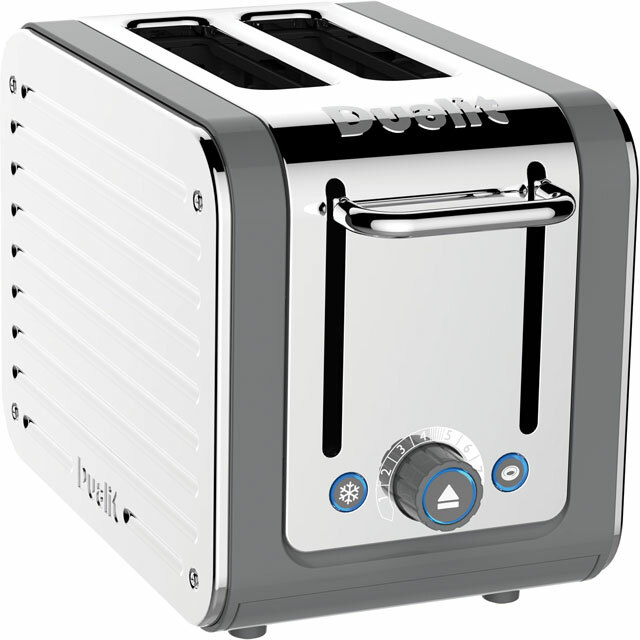 This one looks great, is efficient, toasts perfectly evenly, is easy to keep clean and shiny, and most importantly has a bagel button! It's compact and I love it's soft-industrial good looks on my worktop.